Soon after my Dad passed away some years ago, I was walking on a Florida beach with my old friend Dr. Walter Drew. Walter is the founder of the Institute for Self-Active Education. I served as the Board Chairman and worked closely with Walter for years. To spend time with him is to have your heart opened. After some hours of our being together, we were walking as we talked. I was feeling wide open. I felt my father’s spirit move into my body. Dad and I were very close. His spirit filled me from the top of my head to above my knees. I said “Walter, I can’t talk right now, my Dad’s spirit is filling me up!” This experience lasted several minutes. It was quite extraordinary. When my brother John left his body, I asked Nayaswami Trimurti to lead the Astral Ascension Ceremony. Later, Trimurti told me that during the ceremony, he had observed John visiting. When I asked what John was doing, Trimurti said he was very interested in the ceremony and asking “what ceremony is this?” This is exactly what I’d expect of my brother. My wife, Lalaan, also saw my brother during the Astral Ascension. She saw him beside me, thanking me for loving him. After my mother died, two of my sisters had very similar visitations. Mum had had a hard life and at times was hard on my sisters. She lived to be almost 90. After her passing, one sister saw her in a dream, and the other while meditating. My mother appeared young and happy and said, “Remember me like this!” Okay Mum, I do. The veil separating us from the next life is a thin one. The great ones have taught us that how we live here and how we leave this world will determine the astral plane we next visit. It’s worth the effort to rise as much as we can. 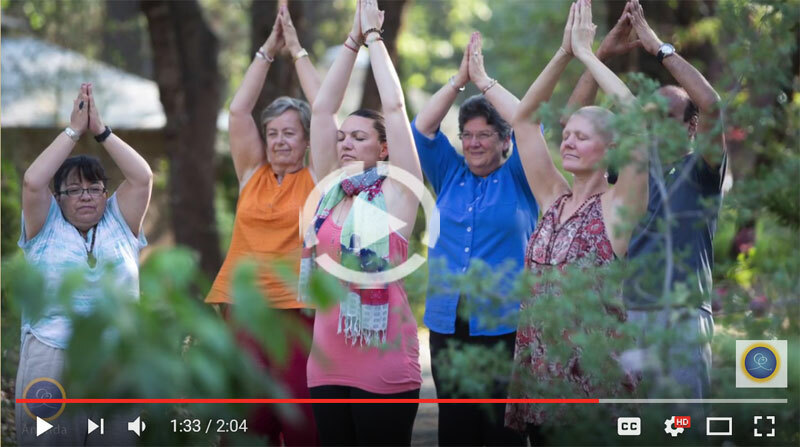 Discover the healing power of posture, movement, energy flows, breath, self-talk, and focus. Gain important self-assessment and therapeutic techniques, work with program leader Maitri Jones to go deeper, applying what you've learned into your daily practice. Leave with a yoga routine designed to help you take your next step forward toward increased health and well-being. Yoga therapy can be used for easing of symptoms, prevention of illness, and an improved sense of well-being. Yoga therapy works at deeper levels of being, where health challenges originate. 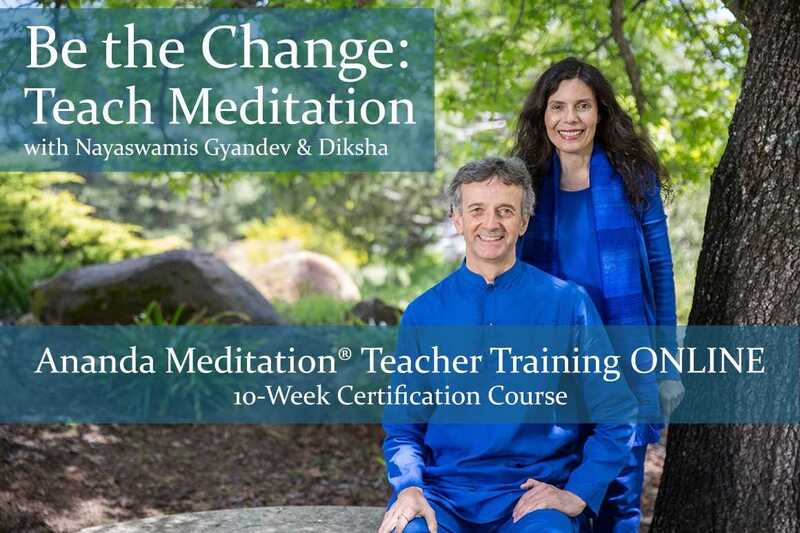 Meditation Teacher Training Level 2 is a full second level of certification. It consists of two course modules, each of which is offered every year. Either course can be taken first. In this 7-day training you will explore how to use meditation for finding solutions to daily life problems. 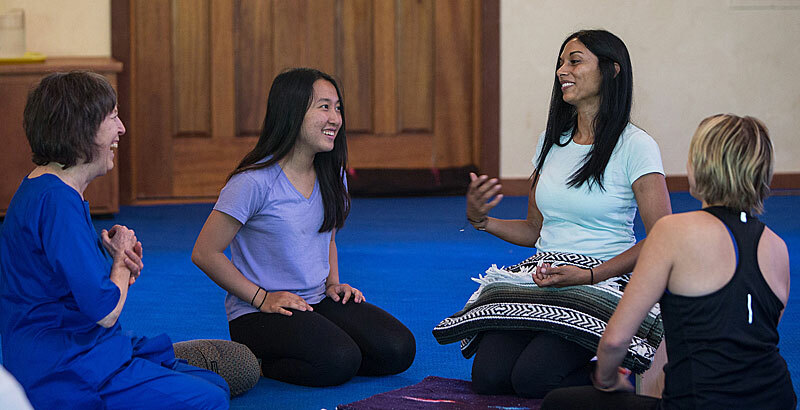 Meditation teachers will gain skills to use personally and to teach their students. If you need more inspiration around the practice of the Energization Exercises—or if you don’t know them, but want something to supercharge your meditations—help is on the way. In early October we will launch the free “30-Day Energization Challenge,” with daily emails to guide and inspire your practice. Look for details in October’s eNotes. Meanwhile, you can get a head start with the new Energization DVD: detailed teaching of the exercises, plus 4 practice sessions at 4 different speeds led by 4 different Ananda teachers (one is Swami Kriyananda).